What to Do in Case of a Pet Emergency? Feeling unprepared is what tends to make any type of emergency feel like a highly stressed and panicked situation. Accidents and injuries often occur when we least expect them but knowing what to do in case of an emergency can dramatically change how we cope with sudden and potentially frightening circumstances. One of the biggest challenges of dealing with a pet emergency is the fact that your furry, feathered or scaly friend cannot tell you exactly what is wrong. You will need to swiftly interpret the behaviors that your pet shows you to determine the cause of the problem (if it isn’t immediately obvious) and take the necessary action. Here are some of the things that you can do to help you feel prepared when dealing with a sudden pet emergency. However, we strongly advocate that you or someone nearby telephone our veterinarian or out-of-hours service for emergency advice while you administer any immediate action. If your pet has suffered an injury, it may be necessary for you to perform basic first aid before you take her to a veterinarian. However, before you do this you should ensure that she is muzzled as if she is in pain she may lash out and this could lead to you getting injured yourself. One of the biggest mistakes made by owners is failing to do this because their pet doesn’t have a history of biting or violent behavior. Nevertheless, when an animal is in severe pain they may do things out of character, including lashing out with their teeth and claws. 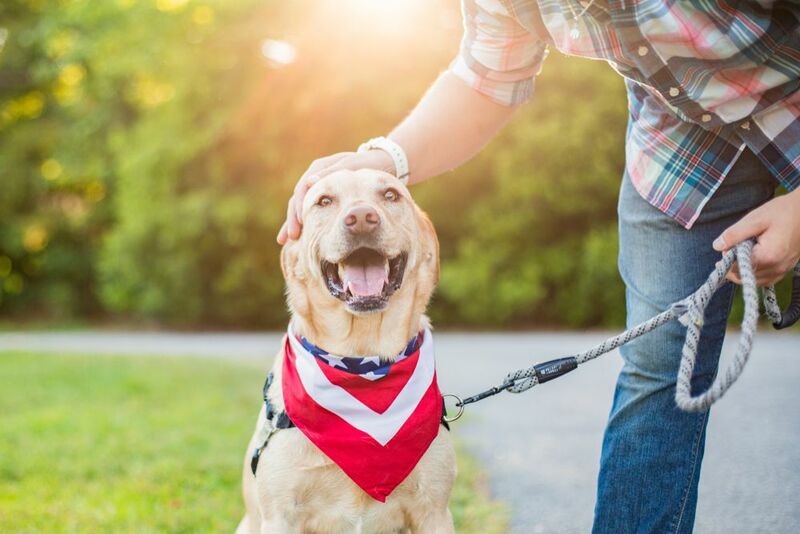 The sight of blood can induce a feeling of panic, but if your pet is bleeding heavily you will need to take action before seeking veterinary assistance. Stem the flow of blood by applying pressure to the wound. If it is a limb that is bleeding, keep it elevated as much as possible. Then wrap the wound firmly, but not so tight that the circulation is compromised, and visit your emergency vet. While burns tend to be a relatively rare occurrence, knowing what to do can help reduce the effect of the injury. Burns are not always the result of coming into contact with fire. Animals can also experience friction and chemical burns. Wrap the burned area in cold, damp towels and get your pet to our vet to have the injury assessed. Choking is a life-threatening situation and one that requires immediate action. It is not always easy to tell if an animal is choking. Signs to look out for include pawing at the mouth and shaking her head forcefully. She may sound like she is struggling to breathe, or she may be completely silent. It is important not to try and put your fingers or anything else in her mouth to remove the obstruction. You could push it further in or you could get injured. Instead, you need to try and force the object out by performing short, firm strikes between her shoulder blades. If you suspect that your pet may have broken a bone, you must immobilize her as much as possible. Lay her on a firm, flat surface and get her to our veterinarian as soon as possible so that an x-ray can be performed and if necessary, a cast can be made. One of the most important steps to being prepared for an emergency is ensuring that you are registered with a quality, out-of-hours veterinary service if this is something that is not offered with your regular vet. Otherwise you will have the added stress of trying to find an emergency vet in the middle of handling the problem – and this may lead to you choosing whichever is nearest or cheapest, rather than the one who can offer the best care for your pet. You know your pet better than anyone else. If you are concerned about her health, do not hesitate to contact our veterinarian.